Need a little warmth to soothe you through those chilly nights? 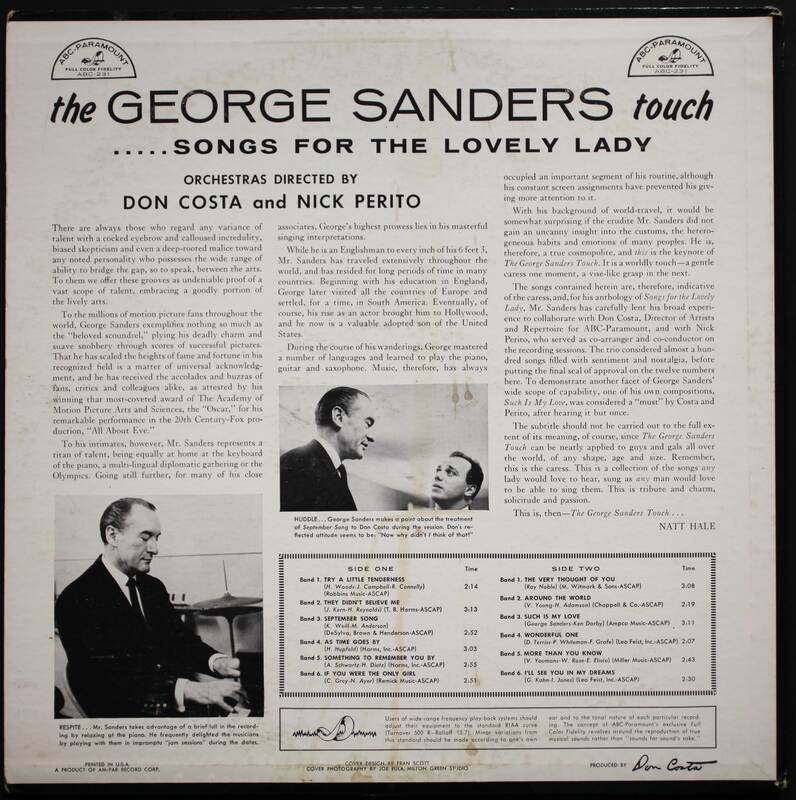 Wrap yourself in The George Sanders Touch….. Songs for the Lovely Lady. 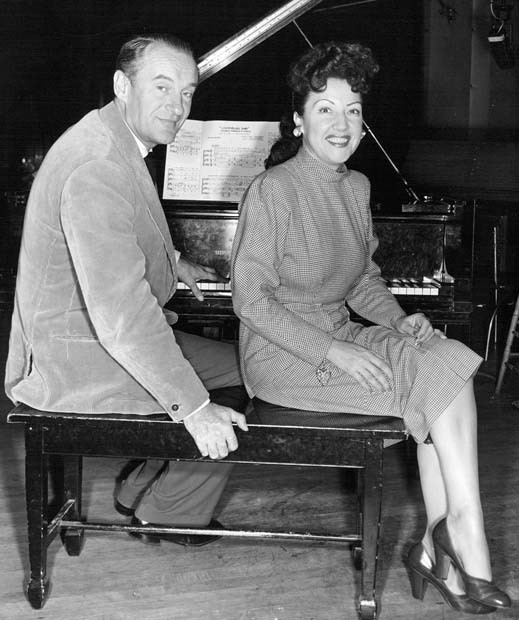 “To the millions of motion picture fans around the world, George Sanders exemplifies nothing so much as the ‘beloved scoundrel’… to his intimates, however, Mr. Sanders represents a titan of talent, being equally at home at the keyboard of a piano, a multi-lingual diplomatic gathering or the Olympics,” gushes Natt Hale in the liner notes. Suddenly I picture George in his tennis whites, tickling out a bit of Gershwin on the ivories while ironing out Cold War tensions with Khrushchev. Which actually doesn’t seem all that implausible. The whole thing is a bit dated, but in a good way. The second time through the album, I closed my eyes, let it wash over me—okay, caress me—and felt like I was right back there in 1958, listening on one of those big ol’ radios that seem more like furniture. Then I fell asleep. But I mean that as a compliment. I’ve listened dozens of times since, and even when I stay awake, I feel like I’ve had a good nap afterward. A nap with George. A girl could do worse. On a couple of numbers, The Very Thought of You and Something to Remember You By, his velvety voice slinks in with kind of a deep-throated hum that’s a cross between Bing Crosby and really bad gas. It’s like having George Sanders sneak up over your shoulder and kiss your neck. After a really heavy meal. Sometimes when he goes very low, it sounds like he’s got a little indigestion going on, like maybe he’s trying to bring something up. But in a really elegant, charming way. 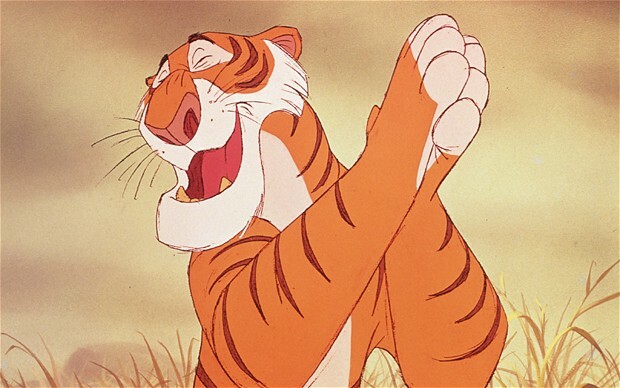 George’s fabulous bass-baritone can also be savored in several films, including Jupiter’s Darling, Call Me Madam (where he knocks the cover off Marrying for Love, giving us a taste of the ballads to come) and The Jungle Book, where he voiced the villainous tiger, Shere Khan. And in 1949, he fought hard for—and won—the chance to play Emile de Becque in the Broadway production of South Pacific when Ezio Pinza left the show. But our George was always a complicated fellow, a mass of contradictions—and almost as soon as he signed the contract, he was seized with a hideous attack of nerves and had to wriggle out of it. …and Some Enchanted Evening (both of which can be found on So Rare, Vol. 4: A Selection by Barry Humphries of his Favorite Gramophone Records). In 1967, he seemed ready to give the stage another go, signing on to play Sheridan Whiteside in Sherry!, a musical adaptation of The Man Who Came to Dinner. But he bowed out when his wife, Benita Hume, was diagnosed with bone cancer, which claimed her life later that year. The stage seems to be the only place where George Sanders didn’t leave his musical mark. Here he is on television in 1956, on The Ford Star Jubilee, delivering pretty much perfect renditions of Cole Porter’s Thank You So Much Mrs. Lowsborough-Goodby and C’est Magnifique. And of course there’s the album. The whole thing, right here on this page. So go ahead. Hit the Play button, close your eyes, and curl up with George. You can thank me later. I’m thanking you now, before I delve into the wonderful links you have given us. I remember being so surprised to hear George’s lovely voice on Call Me Madam. I feel like this was less of a post and more of a public service!! 🙂 Sink in and enjoy!! Love the post, the fan service, and the new side of George (for me). Wow, I wasn’t aware of his singing – have just listened to his excellent version of ‘This Nearly Was Mine’. I also had no idea Sanders spent his early years in Russia. Great stuff! I’m in love! Thank you so much. Until today I thought the only place I could hear George sing was in “Call Me Madam” and the bit at the end of “That’s What Friends Are For” in “The Jungle Book”. You have done the world a great service. Thank you for your write up. 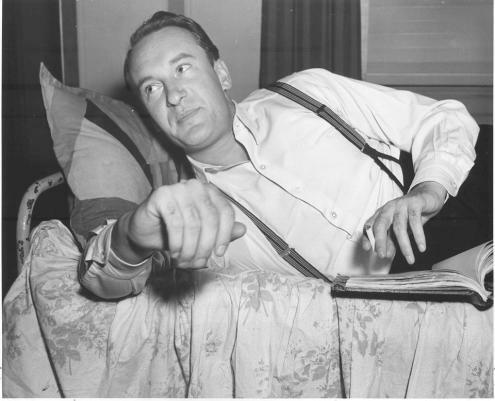 I adore George Sanders and would have given him the chance to court me. He seemed to be happy with Benita and I’m sure I’d have been a good wife as well. I wrote on his brother Tom. Perfect Sunday night playlist – thank you! Would’ve love to imagine Sanders playing Emile de Becque (one of my favourite musical characters!) but, as someone with a public-speaking phobia, I’m happy to know that even the professionals struggle with stage fright! Thanks so much for joining in! You are absolutely correct. There is always room for Mr. Sanders (and his voice!) anywhere and at any time. I’m so glad you posted this. I just finished reading his “Memoirs of a Professional Cad”, and was surprised to learn how musical he was. I am clicking on the various links and listening to George’s golden tones as I read the Russian blogathon entries. He was fabulous, and this is a wonderful tribute to him. I think I’m still reeling from the shock of this. I am so used to thinking of him in such a different way! Thank you for sharing. Love it. I’m going to thank you right now: I just found this great album on Spotify! It was a shock when I saw George singing in Call me Madam, since I was familiar with him from The Black Swan and All About Eve. What else can I say: he’s a fellow witth many talents! (And the lines advertising the album are priceless!). The older I get, the more I love George Sanders. Thanks for a very fun and informative post. I have always wanted to borrow George Sanders’ voice. After hearing him sing, I want to do it even more now. I am sad to say that I don’t think he would have had the stamina to play Scarpia on stage. Now if he could have done it in a movie with suitable cocktail breaks, it would have been wonderful. Thanks for sharing. Reposting so we can all sing Happy Birthday to George Sanders — while he sings love songs to us!! 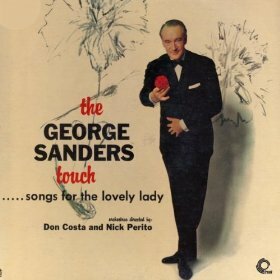 The George Sanders Touch is a lost classic, as is dear George himself – as Ray Davies of The Kinks said in ‘Celluloid Heroes’, “If you covered him with garbage, George Sanders would still have style…”. Of course, he legendarily lost his fortune in an unwise investment in a sausage-making business – in fact, he was heavily criticised in a British Board of Trade Report. And he was a villain in the ‘Batman’ TV series. And he married Zsa Zsa Gabor, and her sister, Magda (but that was anulled). And he was a Russian blue-blood. George was a Class Act, and I even use a picture of him on my Facebook profile (the reality is too, too prosaic). There was only ever one George Sanders. Thanks so much for this information !! 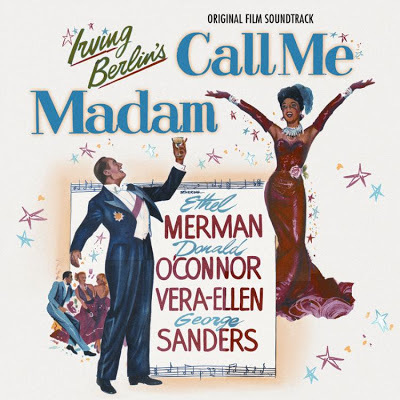 I just watched “Call me Madam” and was so surprised and delighted to hear Mr. Sander’s wonderful singing voice. I’m so happy he did an album that I can listen to…..what a divine voice.